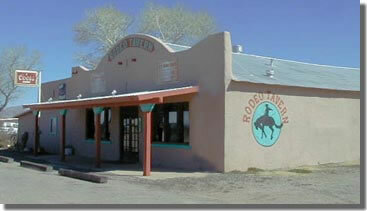 The Portal Store and the Rodeo Grocery sell a small selection of general items, including limited food items. It is strongly recommended that you purchase groceries and supplies in Demming (coming from the east) or Wilcox (coming from Tucson). The closest full service grocery store is the Super Walmart in Douglas, which is 60 miles south. 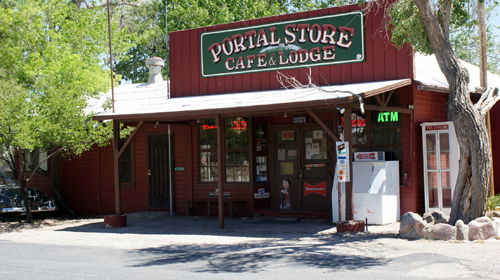 The Portal Store and Cafe (520-558-2223) serves breakfast, lunch, and dinner. Hours and days open vary, depending on the season. There are no service stations in Portal or Rodeo. It is advisable to fill your tank at Lordsburg (coming from the east), San Simon (coming from the west) or Douglas (coming from the south). Arizona does not observe daylight savings time. During those months we are 1 hour behind New Mexico. Please keep this in mind if you plan to do anything in Rodeo. 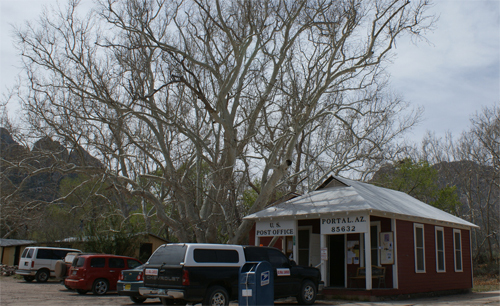 The Post Office is located just down the street from the Portal Store and Cafe. The Myrtle Kraft Library, located next to the Post Office, is open Tuesday – Saturday, 10:00am – 2:00pm. Internet terminals are available. The Coronado National Forest has numerous trails of all lengths and varying degrees of difficulty. The Forest Service also maintains some excellent campgrounds. Contact the ranger station for more detail. 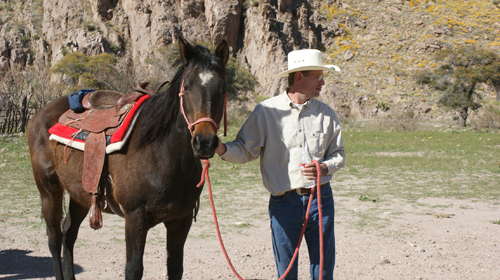 Horseback riding is available at Hideout Ranch, a few miles south of Rodeo. 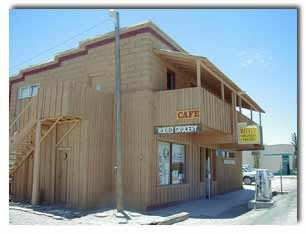 The Cave Creek Ranch office can make reservations for our guests and arrange transportation. Chiricahua Desert Museum, located at the intersection of Route 80 and Portal Road, has a large gift shop and one of the best rattlesnake displays in the Southwest. 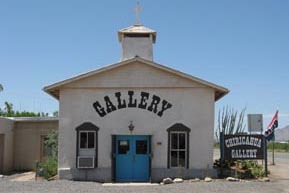 Chiricahua Gallery, located in a former church in Rodeo, offers an excellent selection of hand crafted items and original art work. April through May expect cool nights and early mornings (60s) and warm to hot afternoons (mid-80s to 90s). This period is usually dry. June and early July, expect nights in the high 60s or low 70s and hot days, in the 90s. Summer rains may start in mid-July. July through mid-September is the “monsoon” season, with mornings in the high 60s and days as high as the 90s but dropping with sometimes daily thunderstorms (can drop to the 70s). October through December is dry, and temperatures drop to the 30s to 50s at night and rise to the 60s to 70s in the days; however, sometimes summer temperatures will extend into October. January through March is “winter” for us, with lows dropping to or below freezing, and highs in the 50s or 60s, sometimes the 40s. It snows in the high country, rains at lower elevations.